Alright, let’s start with Guts. Guts never wins in my opinion, he just survives. His whole theme is just surviving. Now the meta part. Japanese literature is all above us overcoming odds and winning against all odds. That plus the fact the author thinks the world of Berserk is emotion bore logic seems to dictate a happy ish ending. But we can all agree berserk is always different. That coupled with what the mistress said bout fate being a spiral and Guts’ philosophy changing since he’s in a group. There’s a lot of possibilities for an ending, but I just wanna hear your opinions on if it will be happy or most likely not. Thanks! Alright, let’s start with Guts. Guts never wins in my opinion, he just survives. His whole theme is just surviving. Guts has definitely won many of the fights he's been a part of. Besides, when you're fighting to the death or facing deadly obstacles, surviving is an integral part of victory. Japanese literature is all above us overcoming odds and winning against all odds. Uhhhhhhh I don't think that's a good description of Japanese literature. logic seems to dictate a happy ish ending. Nothing dictates anything. However Berserk is the story of Guts, and Guts does tend to triumph against adversity. Furthermore, it would be bad storytelling for Berserk to last this long only to end badly for its protagonists. It is therefore likely they will triumph eventually, but it could be a bittersweet ending. But we can all agree berserk is always different. Berserk is a very unique work and is qualitatively unmatched, but it's not "always" different from everything else by nature. The buddhist concept Flora was talking about is more accurately described as causality than just fate. I also don't think that gives us any indication of what Berserk's ending will be like. There’s a lot of possibilities for an ending, but I just wanna hear your opinions on if it will be happy or most likely not. Thanks! I think Guts and his friends will triumph, but it might come at a cost. I also feel like I should mention to you, because it'll eventually come up, that Berserk's author, Kentarou Miura, declared in an interview over 15 years ago that Berserk's ending would not be pessimistic. On a side note, since your main question seems to be about how the story will end, I don't think the title of your thread is accurate. maybe their destiny was tragic, in the normal world but the world in Berserk changed in Fantasia and I think that the union of dimensions affect the spiral of the destiny, Guts and Casca for the sole reason of staying alive, they alter the destiny or no? Hello Javier and welcome to our community! So there's some inaccuracies in what you said above. Like I told Cytometric, there's no "spiral of destiny", instead what Flora tells the Skull Knight is that causality, the principle of a cause having an effect, is not a circle but a spiral. She says that in response to the Skull Knight saying it is causality that Guts should be given the Berserk's armor, something he once wore himself. And Flora objects to that line of thought because she does not think Guts and his friends are bound to follow the exact same path she and the Skull Knight did. You should be careful to not make this comment into something much bigger than it is, like what you did here. Now putting that aside, you also seem to be mistaken about the "destiny" of Guts and Casca. 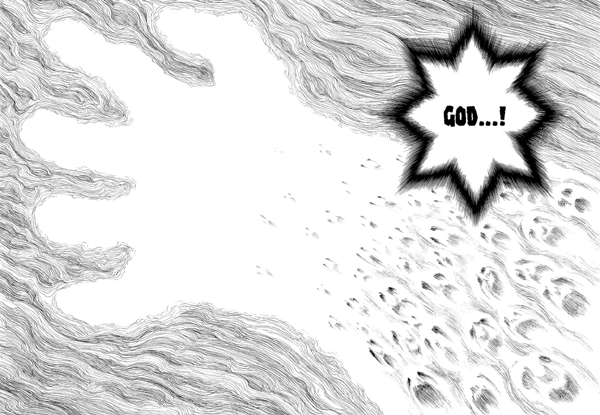 There is no written fate in Berserk that would ensure someone would die because the heavens decided so. However Guts and Casca were caught in the machinations of the Idea of Evil and the God Hand, and that made it likely they would die. And yet they didn't, thanks to the intervention of the Skull Knight. One thing is sure however: since they were branded, they are bound to end up in the Vortex of Souls after they die. That hasn't changed with the advent of Fantasia as far as we know. As branded people, they are also prime targets for apostles and evil spirits, and that also hasn't changed. Now, what is likely to happen in the story going forward is that Guts and Casca will rise up to face Femto (and perhaps the rest of the God Hand) and try to prevent their plans for succeeding. That won't be "just to stay alive", which they could do by not getting involved, but to save the world at large. Of course they will have other motivations for doing so (like trying to save their son), but survival won't be the main one. Lastly, they will also not "alter" causality in order to succeed. Rather they will be going against the flow of causality that is orchestrated by the Idea of Evil, the master of the God Hand. It will likely be a resolution, but not the way Guts wants it. I think Miura already mentioned the meeting will be bittersweet. Perhaps either Casca or Moon boy will die. I'll be interested to see what hapens to the world at large too, will it snap back to normal, or will mankind have live in the astral world forever. Idea of Evil, the master of the God Hand. 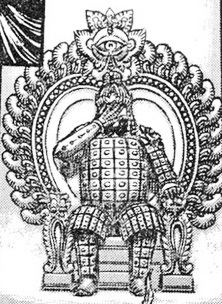 I don't wanna seem like that irritating guy who screams "NOT CANON" everywhere, but I'm curious as to why you chose to acknowledge the Idea of Evil as a currently existing element in Berserk, despite Miura putting it aside, possibly not to approach it again. It's simple, ep82 still exist where we see Griffith meeting the Idea of Evil at the end of said episode. Then you have Flora talking about it indirectly at the mansion of the spirit tree. And then volume 17 contains 3 épisodes titled Shadow of Idea. The Idea of Evil is canon. It visually appears in episode 82 and is referenced later on in the series, notably in episodes 201 and 202. What Miura might not do is make it play an active role or flesh it out in detail, for example explaining how it was created, what its deep motivations are or how it uses its powers. But its existence is not in doubt and never was. Hm, interesting, I've been believing that it's not considered an official thing in the fandom right now, since it's only vaguely referenced and Miura himself stated that he might never come back to it in the end. Even its "name" might be subject to change, so with something this shaky I thought it fair to conclude that it's not exactly relevant beyond the "Lost Episode" and fan speculation. My bad, good to know it's a thing though. Depending on where you go on the Internet people will say it's not canon (anymore), but this is where the high level discussions are at, so I trust you guys know best. Thanks for clarifying. Because the IOE is still referred to within the story. Void calls it the "God born of man" Flora mentions a great entity that guides the fate of the behilits, Guts feels its prescence during Griffiths rebirth, even calling it by name. 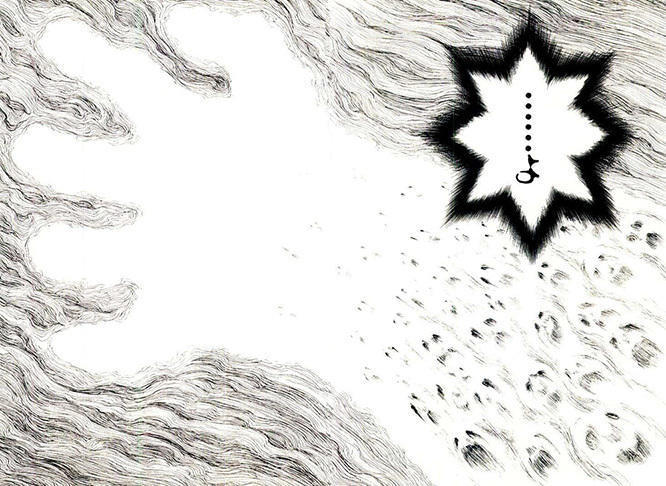 Guts feels its prescence during Griffiths rebirth, even calling it by name. When was that part? I don't recall that moment. I recall griffith saying "God" at the end of the episode though. He's talking about Femto's incarnation, not about episode 82. Aaah okay yeah. It must be the scene where Guts is sliding down the tower just before is fight with Mozgus right? (the one that a page was remove). Thx Aaz for the clarification. I've reread the entire thing not so long ago and was wondering if I missed out on something haha. This little moment has absolutely nothing to do with the Idea of Evil or this discussion though. oh! I forgot that he says "God" in that part. So here's a funny thing: this is a huge mistranslation by Dark Horse. In Japanese, that bubble only contains the hiragana "よ" (yo), a suffix that doesn't mean anything by itself. It can follow any number of words. So in English, the bubble should only contain an ellipsis. Nice! This thread changed direction with nice tid-bit of info. I don't know why Dark Horse decided to do that instead of just leaving an ellipsis. Thank you again for that kind of knowledge. I would never have figured that out by myself. God I love hanging around here. Always learning new stuff and differences about the japanese version and the english one. In the german version stands there ...!! is this good or bad? Can you reformulate to be clearer? I don't understand your question. To be honest, I'm having a difficult time trying to understand the intention behind putting a Japanese particle after nothing. Is it trying to convey a sort of emphatic silence, or suspense? Maybe it's a nuance only native speakers can figure out. Even so, to get from this all the way to literally "God" is pretty ridiculous. Is it trying to convey a sort of emphatic silence, or suspense? Maybe it's a nuance only native speakers can figure out. Just so you know, there are many hundreds of lines in Berserk that contain nuances only native speakers can understand. Yeah. Interestingly, that error was first made here, on SK.net, in December 2000. Back then fan translations were done by people with relatively poor knowledge of Japanese, but they were better than nothing. So we can forgive Cronus, who translated it, for making that mistake at the time. What's very strange is the fact Dark Horse somehow made the same improbable error eight years later while supposedly using a professional translator. I have no proof, but if I'm honest what immediately sprang to my mind was the fact they probably just looked at our older translations (which are still available online but really shouldn't be used as reference) and based their version on that. Two of Dark Horse's editors have had accounts on our forum, and I personally saw one of them, Samantha Robertson, looking at our translations through the logs around that time. They could even have been comforted in their decision by the fact the scanlations of the time (from "thehawks.org") translated it the same way... but that's because they were stealing our translations to begin with. Yeah, that goes without saying, for pretty much any form of literature. The mother language will always hold an edge even on the most accurate translation. This case is just especially peculiar to me, that's why I mentioned it. Two of Dark Horse's editors have had accounts on our forum, and I personally saw one of them, Samantha Robertson, looking at our translations through the logs around that time. They could even have been comforted in their decision by the fact the scanlations of the time (from "thehawks.org") translated it the same way... but that's because they were stealing our translations to begin with. If your suspicion is true, then that's extremely unprofessional on their part. I can't say I hate Dark Horse, but Berserk could definitely use another publisher for the English speakers. Btw Aazealh, do you own the French volumes? If so, how are they in comparison?